Hello, my name is Alex Woltman and I want to thank you for taking moment to find out a little bit about me. 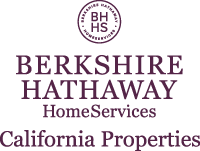 I have 18 years experience as a Realtor and I am also the Co-Owner and Broker of Berkshire Hathaway Homes Services California Properties in Santa Clarita, California. This is truly an amazing organization and I look forward to growing our company and serving the community for many years to come. I greatly enjoy the experience of helping people achieve their goals whether my clients are first time or experienced home buyers or sellers. Because I find Real Estate both personally and professionally rewarding, I enjoy providing “top-rate” service, and I pride myself on staying up to date on the ever changing market. That ultimately benefits my clients. My knowledge and experience of the real estate business and expertise in negotiating the transaction ensures that my clients’ interests remain at the forefront of their sale. As my past clients will attest, I am very diligent in staying in communication with all parties involved in the sale. This enables me to quickly follow through and handle any issues that may arise. Whether you are looking to buy a home or sell your house, you can count on me to go above and beyond and do whatever it takes for you to achieve your goal.With a proven track record of success, I will assist you in making that next transition in your life. So if Professionalism, Experience, Integrity & Accessibility ar qualities important to you when it comes time to select an agent, then you have found your REALTOR. Please contact me at 661-713-4546 if you are planning a real estate transaction as I would love to meet with you. Thank you!